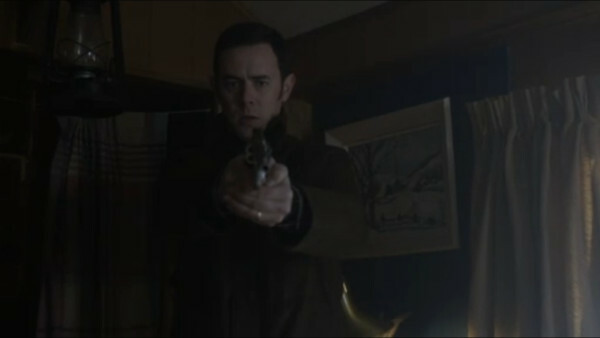 Here we are, Fargo’s finale, “Morton’s Fork”, ideally named as many parts of this episode have a metaphorical ‘fork’ with different paths for people to choose. There are many story ends to tie up and questions to be answered such as, will Lester get his comeuppance, will Lorne get away with it all and will anyone else die? These are all questions we want answering and thankfully, they do. We start the episode with a shot of an ice hole in a lake, a reference to a previous episode where Mr Wrench and Mr Numbers were dropping people into these and once tried it with Lester – it’s also a discreet reference to a future event, you’ll see. We are then thrown back to where we were ended last week, with Lester sat in his car having just sent his new wife to the slaughter. Lester doesn’t react to this how he would have previously; by being distraught and overwhelmed, but instead he comes up with a plan almost instantly: go to Lou’s diner (Molly’s dad) order a ‘grilled cheese’ for himself and Linda, exclaim to Lou she is just picking something up from the shop, engage a couple of locals (for the alibi) and then make an anonymous phone call to the police from the pay phone outside (without anyone seeing) claiming he heard gunshots – Lester has clearly changed, he doesn’t even seem upset. Lorne Malvo is obviously a massive part of this episode, as he has helped created all this. He shows more of his ‘fox-like’ cunning and intelligence. 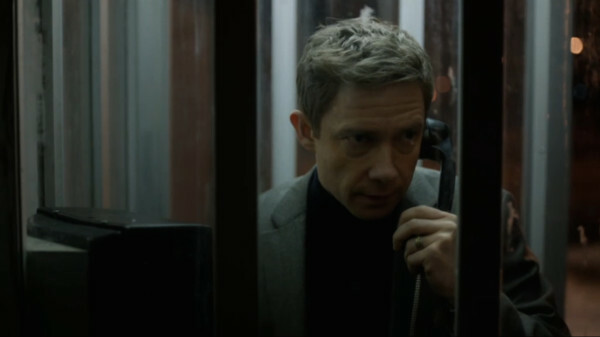 He makes calls to the FBI finding out what is going on with the man-hunt for him, and cancels their backup. 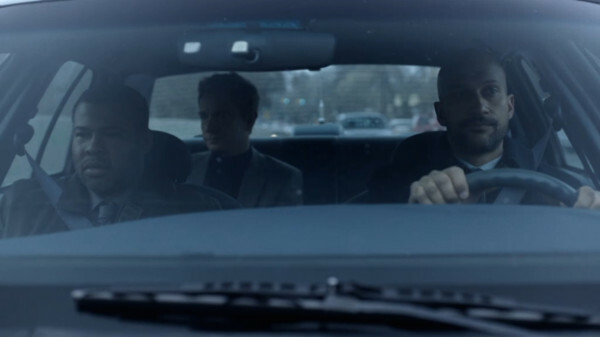 He then just happens to come across what looks like an ex-police car to take for a test drive and impersonates the FBI’s backup, giving him the opportunity to kill both Agent Pepper and Agent Budge before pursuing Lester. However, he is still vulnerable to making mistakes, which he does while creeping through Lester’s bedroom hearing him plea with the police on the phone. He steps right onto a bear trap, set out under piles of clothes by Lester which crushes Malvo’s leg. 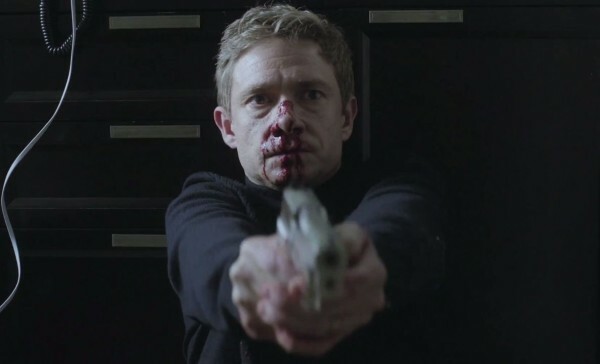 This is a really interesting turn of events, with Lester in his bathroom faking a phone call sounding very much like he did 9 episodes ago calling Malvo for the first time, and now he is defending himself and waving a Dessert Eagle around trying to blow Malvo’s head off. 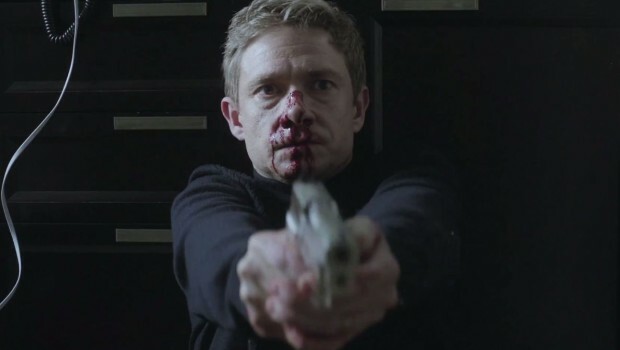 But he does miss and then the gun jams, meaning he needs to retreat quickly into the bathroom but not before he is hit in the face with another reference to the past, his ‘Best Salesman of The Year’ award thrown by Malvo straight into Lester’s face before returning also fire. We have some more very good dialogue again in this episode, and most of it in reference to Lester’s story. Before Lester is about to leave the Police Station Molly tells a short story about a man who drops a glove when getting onto a train, he realises as the train starts to leave and decides to drop the other glove. The reason being that if anyone finds them they will have both gloves and not just the one. This makes perfect sense in a way, why have one glove and the other sit on a platform which will be inevitably thrown away, when someone may collect them both and put them to use. What this could mean as a metaphor and what she could be implying towards Lester is if you’re already part way into a situation, why not go all the way in. He has already killed one wife, and metaphorically thrown another under a bus, why not carry on the lie and see it through, jump into the deep end, feet first; there’s no point holding onto one glove when you could go all the way. After this Lester leaves with detectives Budge and Pepper (before their demise) to be driven home and the detectives to ‘make sure everything is alright‘ they ask him the riddle they previously mulled over ‘A Fox, A Rabbit and A Cabbage’. Lester thinks for a second and comes up with the answer quickly, this shows again how much he has changed, he went from someone who was frightened of his own shadow and did what he was told to where he thinks and is calm and calculated, and most of all, cold. SPOILERS – This section will contain ending spoilers so don’t read ahead unless you’ve seen the full episode. 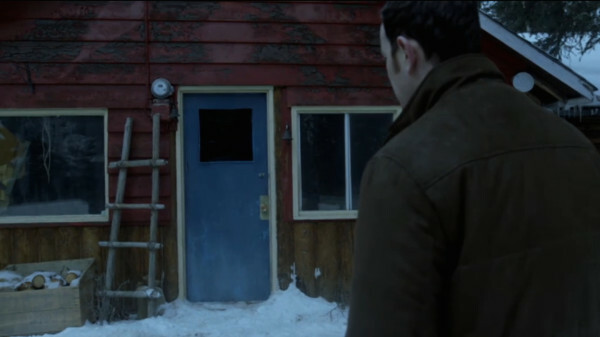 The ending of the episode was a little underwhelming, even with the small skirmish between Lester and Malvo, he is then just finished off by Gus Grimly at his cabin – Gus going against his own advice to Molly to not pursue him herself – he claims to have just ‘worked it all out’, it feels too clean and tidy for newly found postman Gus Grimly to stroll in, work everything out, that has chewed up the FBI and a police force for months; it just doesn’t quite sit right. Saying this though, Malvo’s death had a bit of comedy and quirk to it, which you expect from a character who is just very odd but superb in the best of ways; even though he is pure evil, you still want him to beat Lester. Gus shoots him three times, and we see an angle of Malvo, as still as a corpse, he then just coughs as if he’s waking up from a nap and starts staring at Gus with unadulterated menace, with eyes that seem to be trying to make Gus’ head explode with pure willpower; and if it had happened, no one would have been that surprised. We then witness a short scene showing all the police arriving at the Molly finding all the tapes Malvo has been keeping and takes out the one labelled ‘Lester Nygaard’. This includes the recording of their first phone call, just after Lester has ‘been a bad boy’ and killed his wife. Now these tapes have been shown before but not in much detail, other than the previous episode, so to now use them as a major plot point, feels a tad thin and as if they should have been used more frequently to build a bigger response from the audience. Finally we are transported another two weeks in the future, showing Lester riding a snowmobile, and reaching a police squad who chase after him. He is pursued in a short sequence resembling a similar scene in the episode ‘Swiss Miss‘ of FX series ‘Archer‘ before Lester crashes and runs out onto a frozen lake. We hear the police shout after with the warning that it’s not safe, but Lester doesn’t listen. He quickly falls through an ice hole created and falls through a hole resembling the shot at the beginning of the episode. 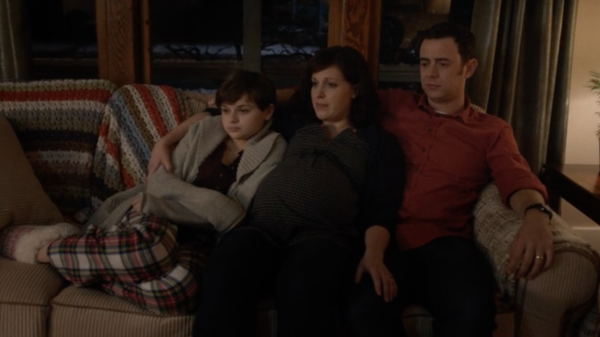 Overall the episode was a good end to the series, it did what it needed to, rounding off a fantastic series that has been threaded together in an expert manner. Billy Bob Thornton entirely stole the show in terms of character and performance, and was one of the biggest reasons to watch. There was consistently amazing script writing, all weaved with comedy and tension; and the show was definitely as quirky and interesting as it needed to be to fit the ‘Coen Brothers’ style. Anyone who is a fan of TV should watch this show.